seemybrotherdance: MARCH: BOOK ONE selected for BEST AMERICAN COMICS 2014! 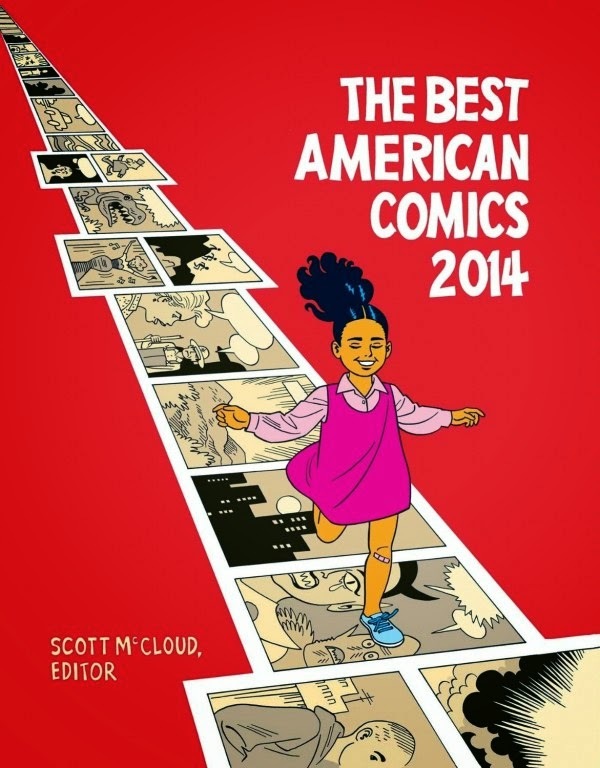 MARCH: BOOK ONE selected for BEST AMERICAN COMICS 2014! It's an honor for an excerpt of March: Book One to be included in this year's volume of Best American Comics, edited by Scott McCloud and Bill Kartalopoulos! We're alongside an unreal lineup of creators including Jaime & Gilbert Hernandez, Ben Katchor, Charles Burns, Adrian Tomine, Robert & Aline Kominsky-Crumb, Raina Telgemeier, Miriam Katin, Fanny Britt, Isabelle Arsenault, Tom Hart, Sam Sharpe, Nina Bunjevac, Mark Siegel, Brian K. Vaughn, Fiona Staples, Brandon Graham, Ted May, Chris Ware, Frank M. Young, David Lasky, Ed Piskor, Allie Brosh, Michael DeForge, Theo Ellsworth, Ron Rege Jr., C.F., Victor Cayro, Sam Alden, Onsmith, Gerald Jablonski, Lale Westvind, G.W. Duncanson, Aidan Koch, Erin Curry, and Richard Thompson!